Modern Style Back. 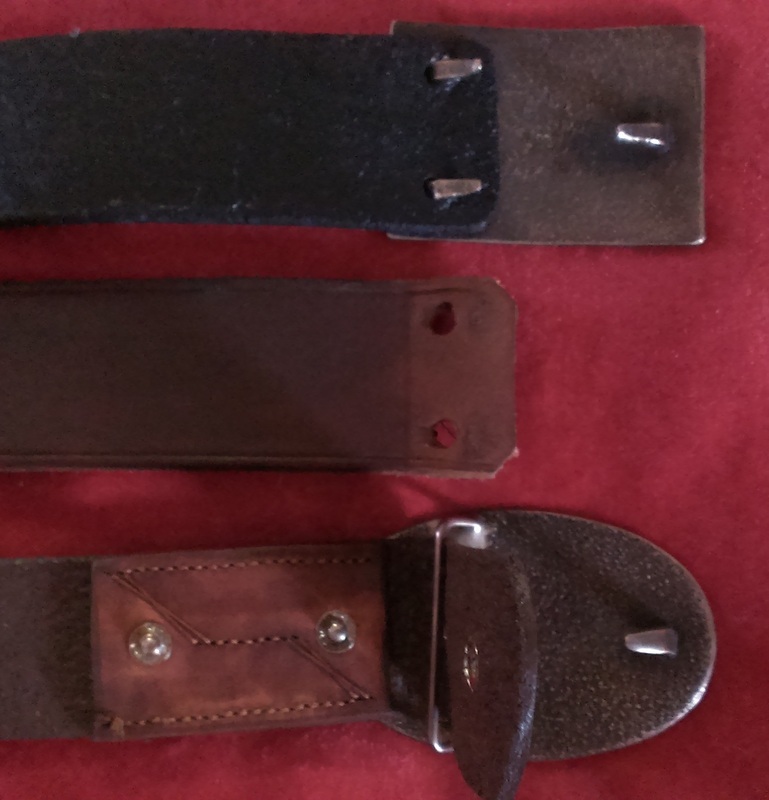 1 3/4, 1 1/2 or 1 1/4 belt size loop. 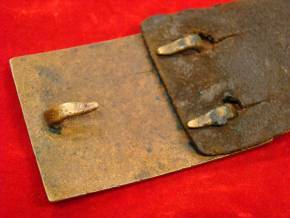 BOX PLATE with the box plate loops soldered on as period style. 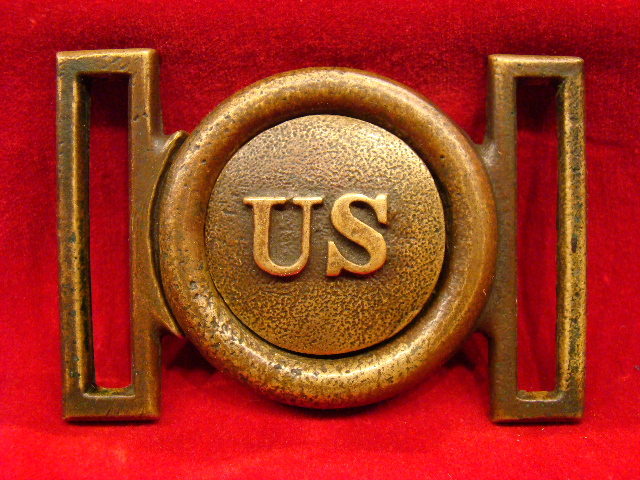 BREAST PLATE with brass attachment loop soldered as period style. 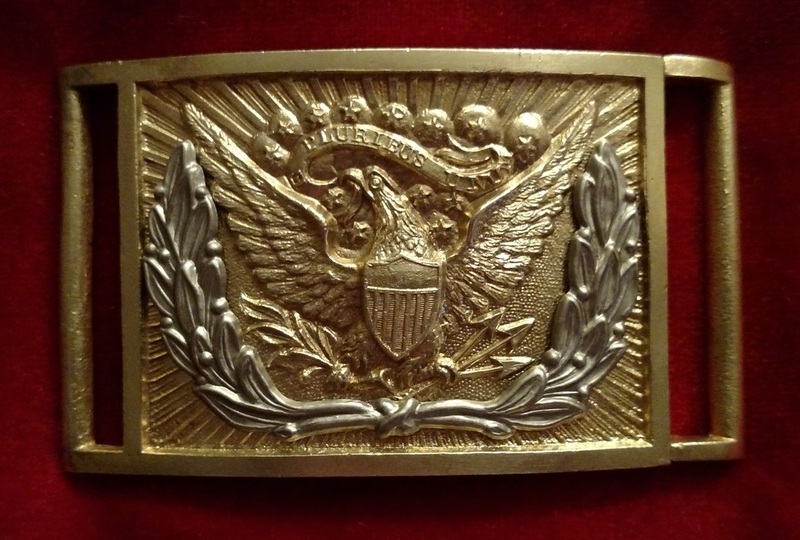 SWORD BELT PLATE BACK This is the back with a smaller hook which is used for most state seal, NCO, and various eagle officer buckles. 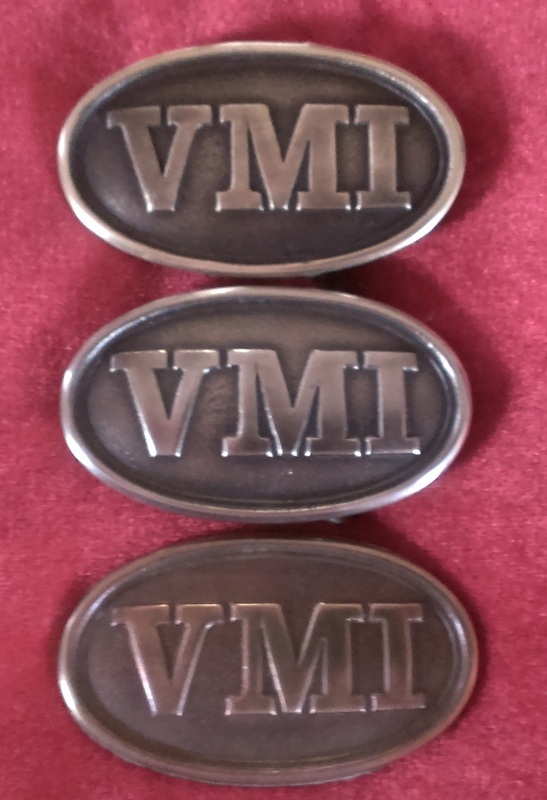 This is also the back for a 3-piece applied wreath buckle. 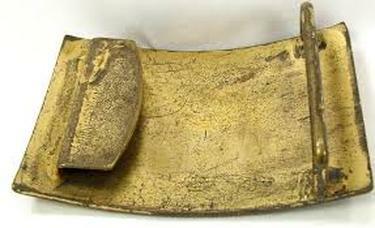 A Modern Back may be chosen for a sword belt plate, which eliminates the keeper, for more ease in everyday wear. 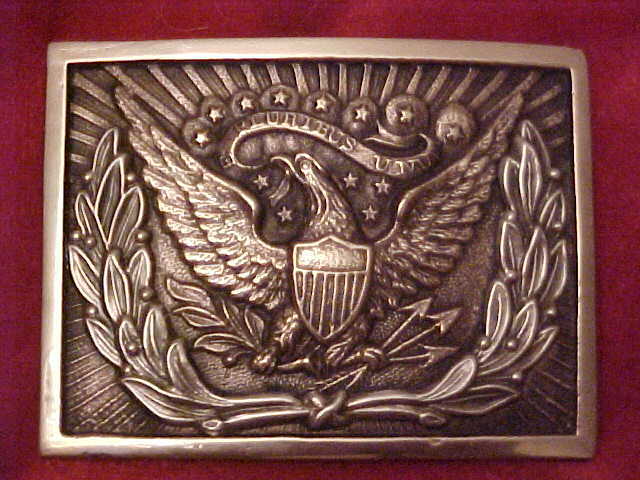 SWORD BELT PLATE BACK This is the back for the Eagle Officers and buckles with solid cast wreaths (not applied) with a wider hook. 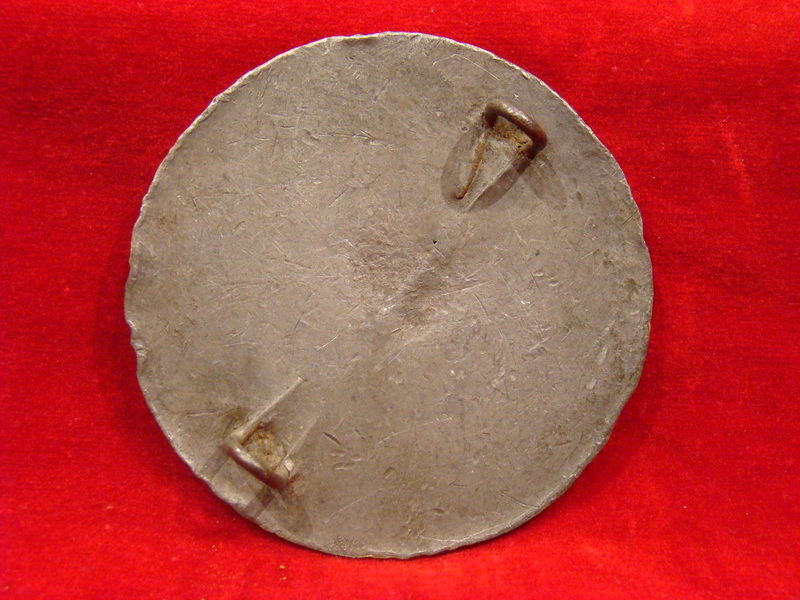 The Sword Belt Plate is often made Modern Back, for ease of wearing. 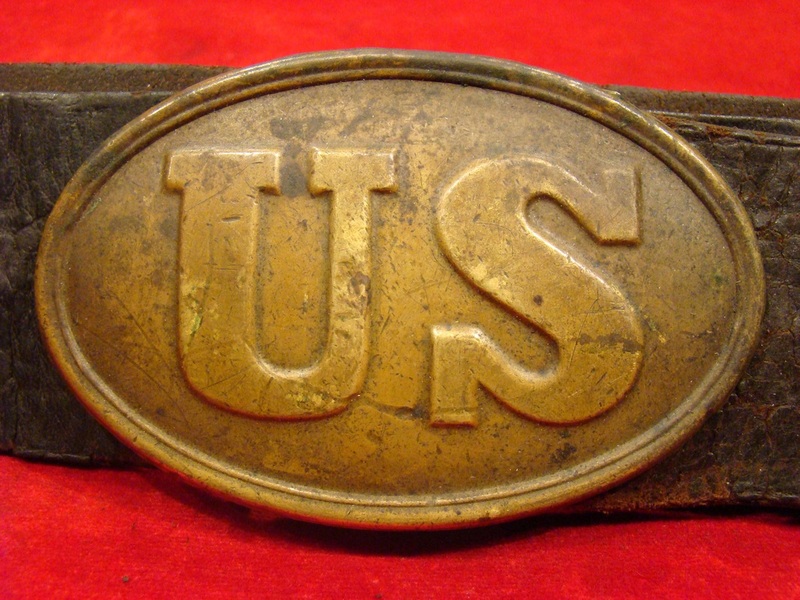 Original Civil War Virginia Belt Plate. 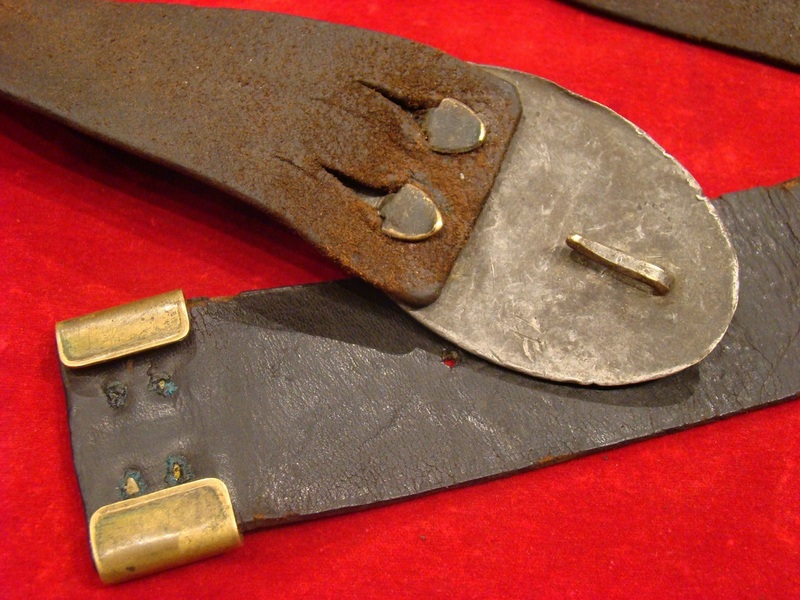 Back shows the applied belt bar and front hook. 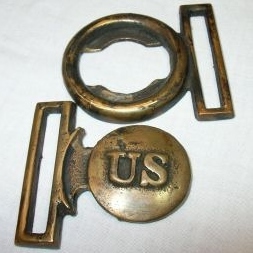 Left-Pre-War belt hook keeper for narrow hook. 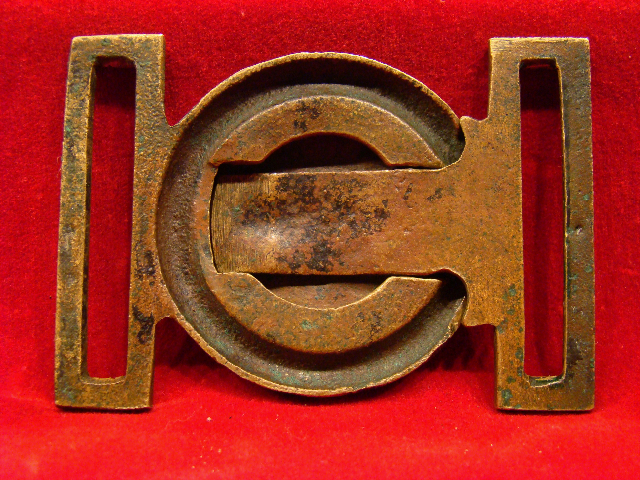 Right-Post War belt hook keeper for wide hook. 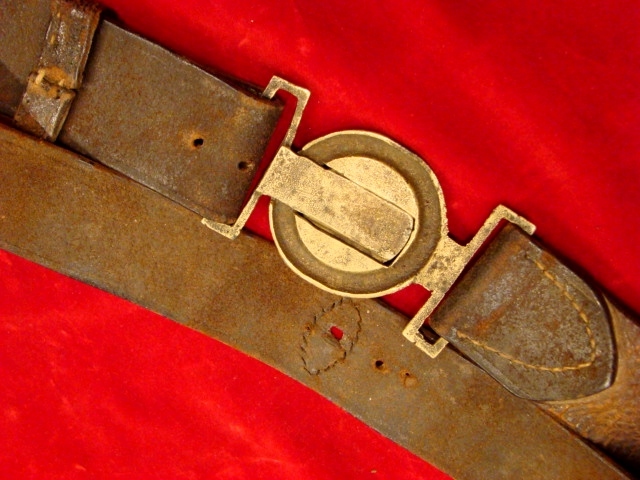 Original Post War with the wide front belt hook. 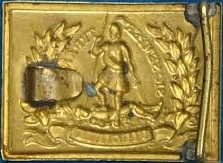 Original Cartridge Box Plate lead filled back. Type I use but no lead fill. 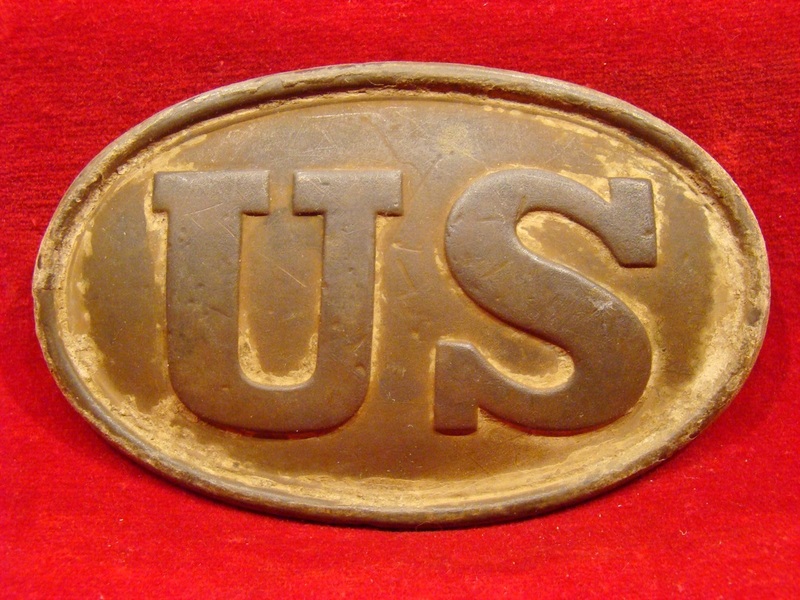 Original Cross Belt Plate backing. I use this type but no lead fill. 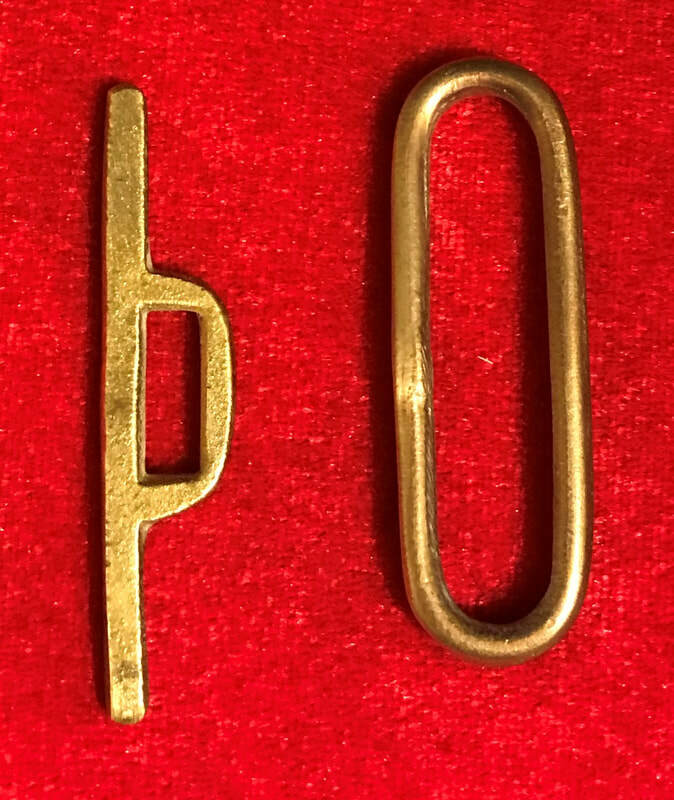 Original Post War type belt bar, front hook with brass keeper. 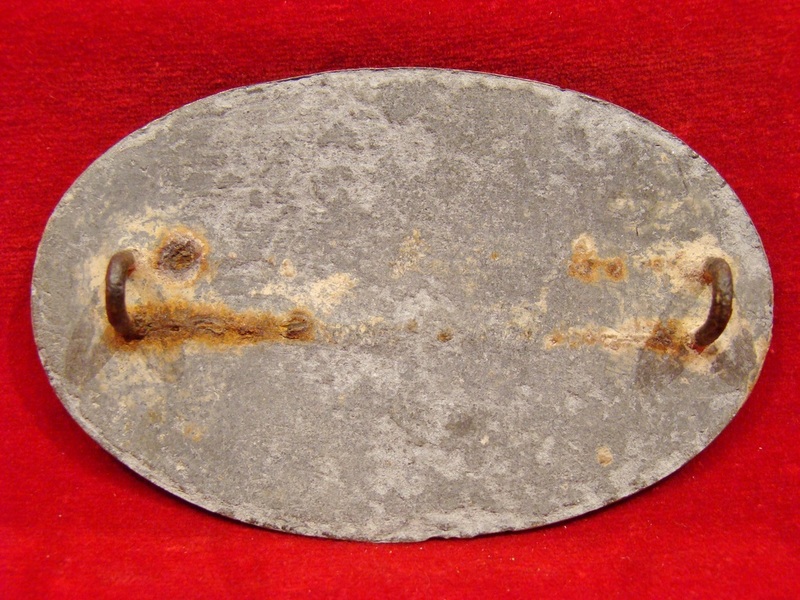 Original Oval US Belt Plate with arrow hooks and lead filled. 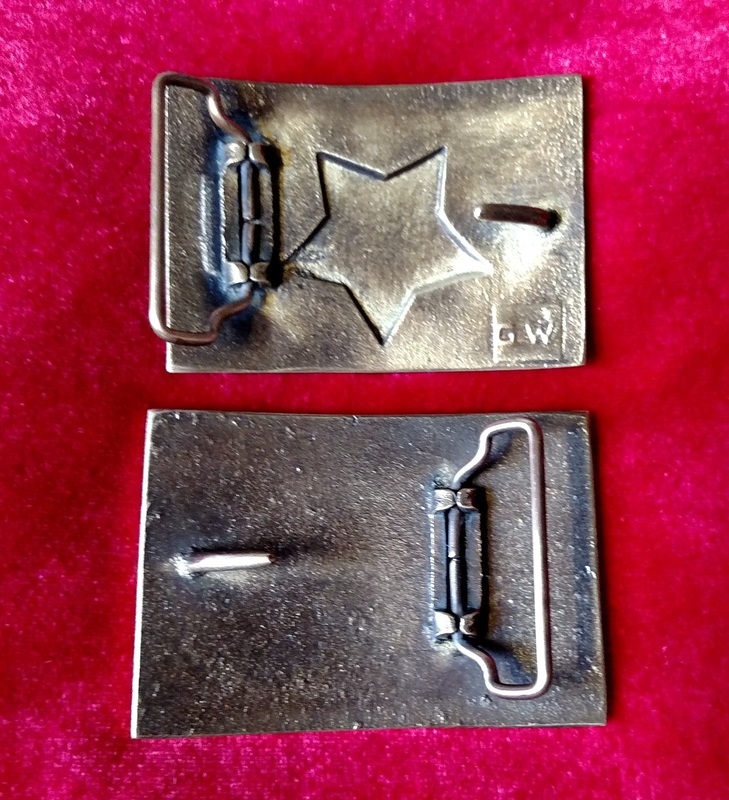 I use the type hooks on the right for all civil war backing and NO LEAD, SOLID BRASS. 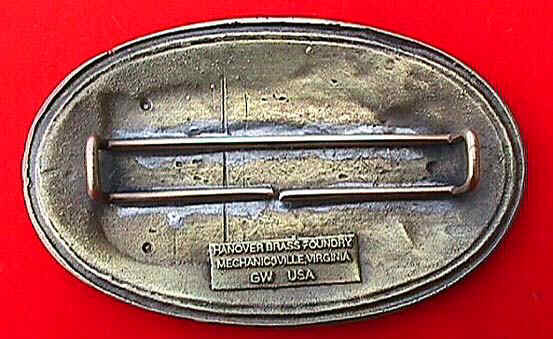 Both parts of the Two Piece. Tongue and Wreath. 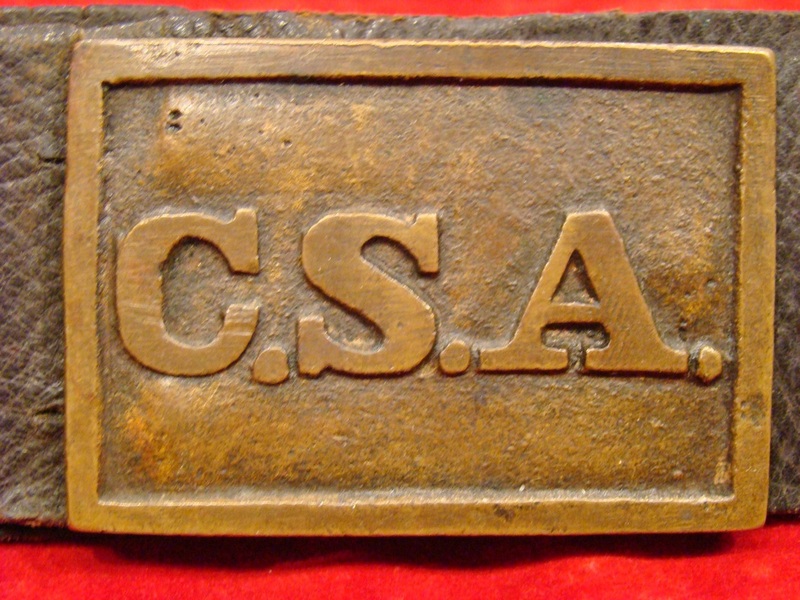 Original CSA on leather backing, 3-hooks. 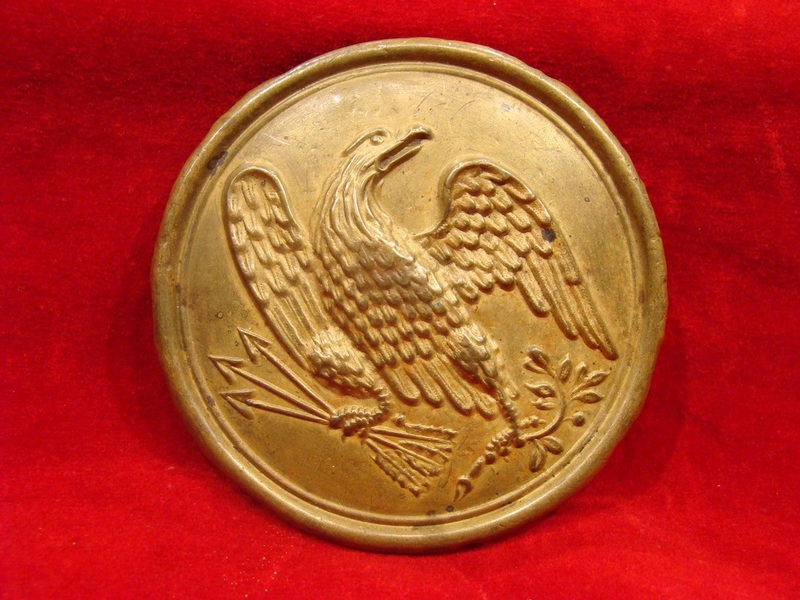 Type we use for civil war backing. 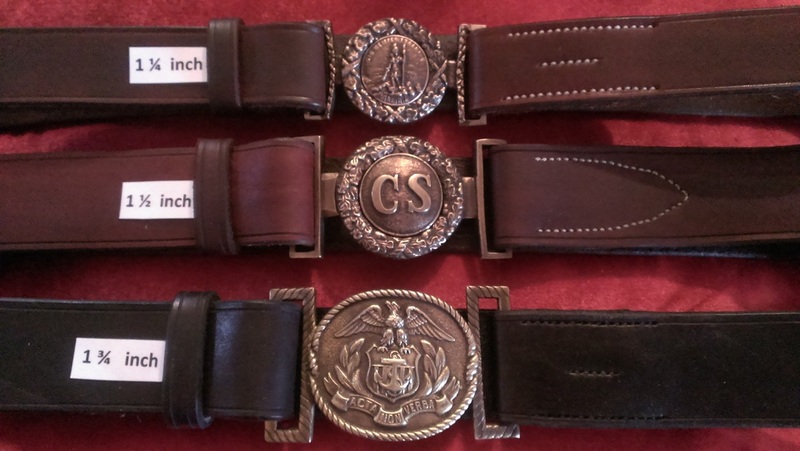 Two Piece takes a Custom Belt.